"We want to prevent violations of human rights effectively at an early stage, and have created the necessary tools to do so," said Renata Jungo Brüngger, director of integrity and legal affairs at Germany's Daimler (DDAIF). CNN published an investigation on Tuesday showing that children are still working in small, artisanal cobalt mines in the Democratic Republic of Congo. 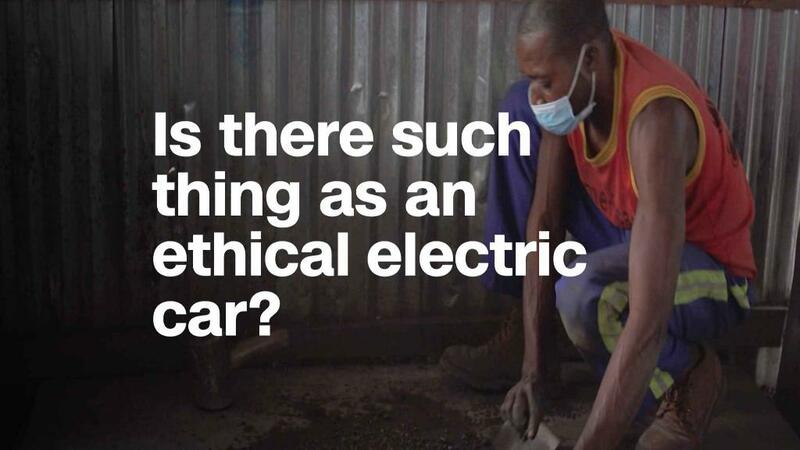 CNN shared its reporting from the DRC with Daimler on April 3, including evidence that dealers at markets in the DRC were buying cobalt from those small mines without verifying its source and mining method. Daimler has "explicitly forbidden" child labor in its supply chain for years, but like other carmakers has acknowledged how difficult it is to verify the source of cobalt -- a mineral used in lithium-ion batteries. BMW (BMWYY) told CNN last month that it was considering buying cobalt directly from miners to avoid operations that exploit children. Volkswagen (VLKAY) -- which has plans to launch dozens of new electric cars -- has introduced new rules for all its suppliers to ensure there's no child labor in the supply chain. Daimler said on Wednesday it would work with 1,500 suppliers worldwide to raise sustainability standards in the supply chain "to the next level" as part of a new approach the company called "the Human Rights Respect System." A company spokesman said it had started work on the new system in 2013. "We actively create transparency in the supply chain, right down to the mine if necessary," said Sabine Angermann, head of purchasing and supplier quality for raw materials and strategy at Mercedes-Benz cars. "It is not only the direct supplier who must operate sustainably, but the entire supply chain," she added. The measures Daimler is taking include on site audits with teams of experts and apply to cobalt, as well as other materials used in battery cells. Raw materials such as steel and aluminum are also included. "Mercedes-Benz Cars has made the cobalt supply chain transparent for the award of contracts of battery cells," the company said. -- Nima Elbagir, Dominique van Heerden, Anna-Maja Rappard and Alanna Petroff contributed to this article.